Effective Speaking kicks off on Monday evenings beginning , October 17th @ 18:00 - 20:00. This activity is not at the armories this year. It is at the Red Deer Fire Department training grounds classroom. The address is 4343 78 Street Crescent, Red Deer. Parents are expected to attend the first meeting. 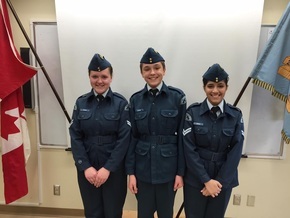 Congratulations CPL Arora on your second place finish at 2015 Provincials!!! Within the Air Cadet program, we emphasize citizenship and leadership to the cadets. One of the toughest things for a person to do in life is to perform a public speech on a dictated topic. 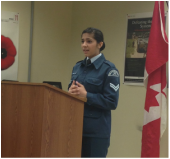 Public Speaking requires a cadet to be confident, and work outside their comfort level at a variety of levels. It also helps prepare them in life to accept the leadership role with confidence and maturity. 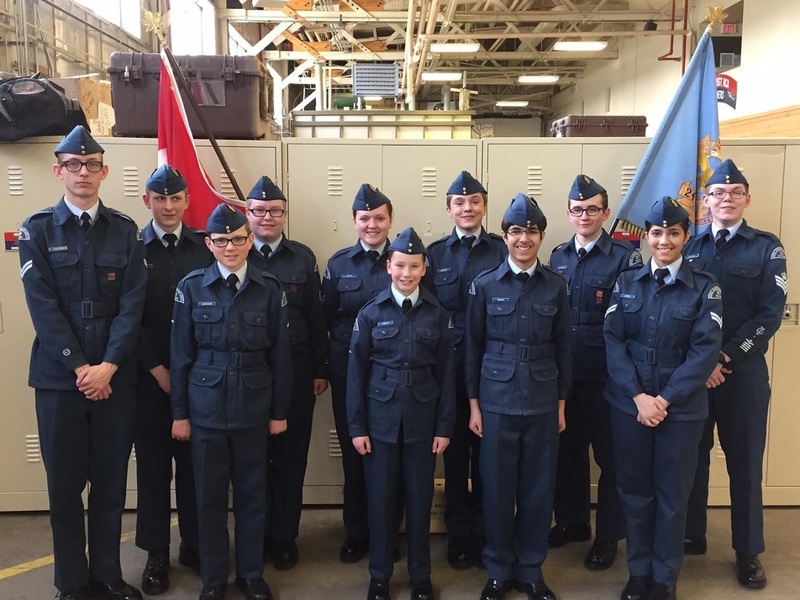 The effective speaking program also prepares cadets when they apply for National Scholarship Camps by making them more prepared and comfortable speaking in front of people. 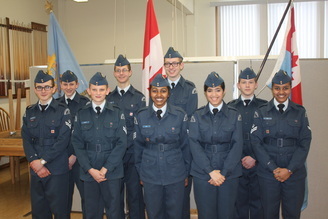 Each year the Air Cadet League of Canada promotes public speaking at the National level. 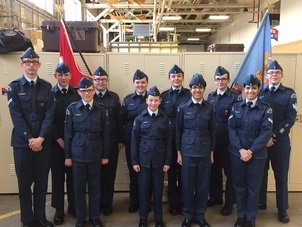 It is left up to the individual units to generate interest from the cadets and create an environment where the cadets can participate in a competitive nature, provide opportunities for advancement as well as feedback on their “performance”. 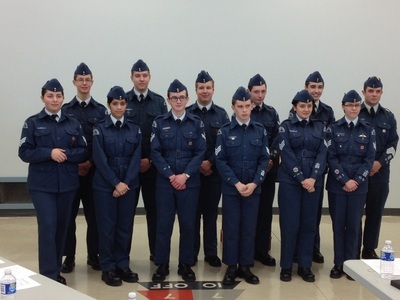 24 Squadron Public Speaking Presentations will be held March 14 /2015. 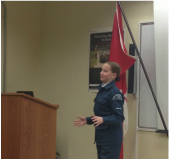 The presentations consists of two parts, a 5-6 minute prepared speech and a 2-3 minute impromptu speech. 8. How has being a Cadet affected my life? 1. An Ordinary Canadian Doing Extraordinary Things. 2. 150th Anniversary of the Charlottetown's Conference. 3. Chris Hadfield, Space Explorer. 5. Snowbirds, a Canadian Icon. 6. Women in Military Services. 7. Why I Remember November 11th? 8. Skills I have learned in Cadets That Will Help me in Life. Good Speech- Breathing, posture, neck muscles, lower jaw, lips and tongue exercises. To inform – by imparting a body of knowledge. To persuade – by trying to convince the audience that the speakers advocacy is desirable. To entertain – by pleasing and amusing the audience. Careful preparation is essential – keep your purpose clearly in mind before you commence preparation. Have the needs and background of the audience in mind when you prepare and keep the explanation simple when you deliver the speech. Watch your audience carefully for a reaction. If people are not understanding — and you can usually tell — be prepared to slow down, rearrange, simplify, omit or repeat in order to achieve your objective of audience understanding. Do not attempt to give too much information and avoid lengthy use of statistics or other data which is more suitably presented in written rather than oral form. Research your material completely and find evidence, other than your own opinion, to support the points you are making. Rely on reason, logic, and evidence rather than emotion alone to persuade your audience. Find authorities – experts in the field you are discussing who support your point of view. Entertaining speeches require the same detail of preparation as others. One can be humorous and entertaining while still having a serious, worthwhile message. Humor used should be relevant and suited to the audience. You can entertain just as well with a witty choice of words and style of presentation as with a joke. Wit can be used effectively in almost any kind of speech. Be careful with sarcasm, there is a fine line between sarcasm which is humorous and sarcasm which is insulting and/or condescending. Remember! Determine your desired response before you begin. When competing in a speech event, you should: choose a subject that suits you; choose a subject that suits your audience; choose a subject that suits the occasion; choose a subject that suits the time allowance. Generally speaking there are three parts to every speech. Before proceeding, some consideration should be given to the issue of originality. Beginner speakers are sometimes instructed that the three parts of a speech should: tell them what you are going to tell them; tell them, then; tell them what you told them. The beginner speaker may find this “prescriptive” approach useful and it must be said that there are instances where this approach can work. There is, however, a danger of formal speech making and lack of originality. Speeches intended to entertain rarely follow this simplistic format. They become very boring if they do. In fact most speeches that follow this format have an element of boredom because they are too predictable, but they can be very instructive, if that is the intention of the speaker. The most important part of the speech is the body. How you structure the body depends on your purpose. Are you trying to entertain, to persuade, or to inform? The following descriptions are quoted from Getting Started in Public Speaking, by James Payne and Diana Prestice, National Textbook Company, 1985, Lincolnwood. Since we consider exercise to be for the body, it seems more logical to begin with the physical benefits of exercise. There is no reason, however, why you could not reverse 1 and 2, but they seem to fit more logically in the order presented. Another word for chronological is time. The pattern of chronological order organizes by using time sequence as a framework. Two of the examples in “Picture This…” used a time sequence as the organizing principle. This type of pattern is useful in informative speeches or in persuasive speeches which require background information on a problem or issue. A speech on the history of baseball could use a chronological sequence. You would begin with the invention of the game and follow rule changes until the present day. Chronological order is also useful for a process or demonstration speech. Each of these speeches involves explanation of how to do something. In a process speech, you explain but actually do not show how to do what you are explaining. In a demonstration, you explain by showing. For the demonstration to make sense, you must follow the order in which things are done. Spatial order involves physical space. If you were to describe your classroom, you might describe what is found in the front of the room, the back, the sides, and the center. Dividing material according to spaces in the room would use spatial order. Many television reporters use spatial order. The national weather report is usually given according to regions of the country. A weather reporter does not randomly skip from one city to another. Spatial order is often used in informative speeches and, depending upon the topic, it is appropriate for entertainment speeches. Use this organizational pattern whenever physical space is involved. Section material by floors, parts of a room, geographical region, etc. Most often speakers use problem-solution order for persuasive speeches. The first part of such a speech outlines a problem, and the second part gives a solution. Within a problem- solution pattern you will find other types of organization. The problem section of the speech might be organized using a logical sequence. The solution stage could involve classification. As a persuader, you would select one solution and present arguments for why it is the best option. A speech about the decline of educational quality in the United States would include a section outlining the problems in U.S. schools, and the next section would suggest ways to solve them. The cause-effect pattern, like the problem-solution pattern, has two parts. The first describes the cause of a problem and the second its effects. You could organize a speech on toxic waste pollution by using a cause-effect pattern. The first part of the speech might explain how and why toxic wastes cause environmental damage. The second part would discuss the effects of toxic wastes on property and health. As with the problem-solution speech, other forms of organization are usually incorporated into the major sections. The conclusion should end the presentation on a high note and should, as much as possible, relate back to the introduction. Leave the audience with something to remember. You will have less difficulty if you observe three basic rules: KNOW WHAT YOU ARE GOING TO SAY, KNOW WHAT YOU ARE GOING TO SAY; and KNOW WHAT YOU ARE GOING TO SAY. MECHANICS The term mechanics refers to the physical mannerisms of the speaker and his or her voice. How your body moves, what you look at and how you modulate your voice can drastically alter the impact of your speech. Stand firmly on two feet – do not lean, slouch or tilt. Avoid leaning on chairs, tables, etc. Males – hands out of the pockets looks best. Hands – best clasped in front of you, moving them for useful and effective gesturing when necessary. Use of a lectern – use only when you have to rely on notes. Avoid its use when possible by moving it away or stepping in front of it. Dress neatly. Appearance and dress can influence your audience no matter who is in attendance. 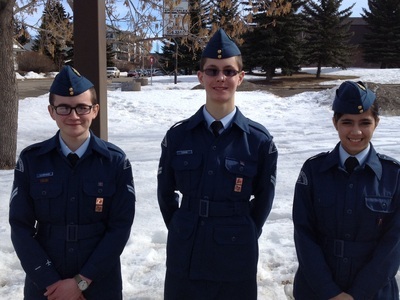 All contestants will wear C-2 Standard Duty Dress with no accoutrements (i.e. lanyard, white belt, gaiters, etc.) to be worn. Do not look at only one or two people or only at one side of your audience. Yours eyes should constantly rove over the entire group. Watch the audience carefully for reactions – you should be able to easily detect boredom, lack of understanding, interest or annoyance. Do not keep your eyes glued to notes or read notes at length – this is a certain way to lose the attention of your audience. Speak loudly enough for all to clearly hear. Do not be afraid to use extra volume to emphasize, but lowering your voice to barely a whisper can be effective as a technique for emphasis, providing you have the full attention of your audience to start with. In general, vary the volume according to what you want to stress. Strive for a good rhythm. Avoid speaking too fast or too slow. You can do a great deal with your eyes and smile; a smile early in your speech can do wonders. Set the mood of your talk or parts of it with the way you look at the audience. Emphasis and expression with the hands is another technique found with all good speakers. However, speakers are advised to be judicious with the use of gestures. A few, careful, non-offensive gestures may enhance a speech provided they are purposeful and pertinent to the point the speaker is attempting to make. Overuse will simply detract from the speech. Instinctive conversational gestures may reduce the presentation from a speech to a chat. The posture of a good speaker is generally erect, with hands to the sides or in front, or even to the sides of the podium. Only rarely and for good effect should gestures be included. Any gestures used should be relevant, non- mechanical, non-repetitive and varied. They should never be distracting or annoying. Knowing what you are going to say. Thorough preparation reduces nervousness. Taking a few deep breaths before standing to speak. Looking at your audience – avoiding their eyes causes nervousness buildup. Knowing your audience in advance. Talking to them informally and socially if possible before you begin. Relaxing in the knowledge that every speaker is nervous. Do not use cumbersome distracting sheets of paper, small cards are recommended. If you do not use a podium, do not hold cards low or rest them on a table. Do not worry about people knowing that you need to rely on notes – it is better for your head to be up so that your voice can carry. Entertaining speeches require careful preparation. One can be humorous and entertaining and still have a serious and worthwhile message. Keep your humour relevant and suited to the audience. You can entertain just as well with a witty choice of words, and style of presentation as with a joke. Do not feel you have to keep to a carefully prepared script. If new and relevant thoughts occur, you can make use of them. The speaker should try to be sensitive to the mood of the audience and try to modify his or her presentation to get a positive reaction from the audience. The language used should be appropriate for the age and experience of the audience and suitable for the topic. The treatment of the subject and the technique of presentation should be original (without being gimmicky). Be relaxed, comfortable, self-assured, and in control. Diaphragmatic breathing is probably the most important thing you can learn about using your voice. It will give you control and produce a buoyant, well supported sound. The diaphragm is the chief source of vocal motive power. It is the flat muscle that divides the chest cavity from the abdominal cavity. Muscles around the waist and under the ribs in the solar plexus area also play an important part. Place the palm of your hand on the muscles in the solar plexus area. (The area below your ribs, but above your stomach, where the muscles of your abdomen and diaphragm meet.) Take a deep, even breath. Feel bellows move outward. Blow air out in a smooth, even stream. As the hand moves inward, the diaphragm pushes up, and the stream of air moves out the top, smoothly and evenly. There should not be any movement in the upper chest.